If you are in the DC area, and interested in getting training in family mediation and having a chance to practice, consider the following announcement by the Family Mediation Program of the DC Superior Court. Training information and contacts are below. The application deadline is 10/31! The Family Mediation Program of the D.C. Superior Court’s Multi-Door Division is accepting applications for family mediation training. The training is provided free of charge. In exchange, applicants must make a commitment to attend all training sessions, co-mediate one case with a mentor and mediate for a minimum of one year following completion of training and mentorship. The training will take place on January 25-26, February 1-2 and March 2, 2018, from 9:00 am to 5:00 pm each day. Interested individuals who can make all of the above commitments are encouraged to apply. The deadline for applications is October 31, 2017. Interviews will be scheduled during November, 2017 and candidates selected for training will be expected to observe one family mediation session before the start of training. Following the classroom training, mediators will co-mediate one complete case (an average of 5 sessions) with an experienced family mediator and receive an acceptable performance rating before becoming eligible to mediate independently. New mediators also must mediate three unpaid mediation sessions before becoming eligible to receive a stipend. All parts of training and mentorship must be successfully completed before trainees will be added to the program roster. New mediators must make themselves available to mediate at least 6 sessions per month during the year following their acceptance on the program roster. Mediation opportunities are available Monday through Friday from 9:00 am to 4:00 pm, at 6:00 pm on Tuesday through Thursday and Saturdays at 10:00 am and 12:00 pm. Trainees who are unable to keep this commitment during their first year may become ineligible to continue with the program. Attendance at certain program training events will also be required. Those who are unable to make the above commitments at this time are asked to apply when their circumstances change. Mediators are paid a stipend of $60 per mediation session and $50 for sessions for which one or more parties do not appear. 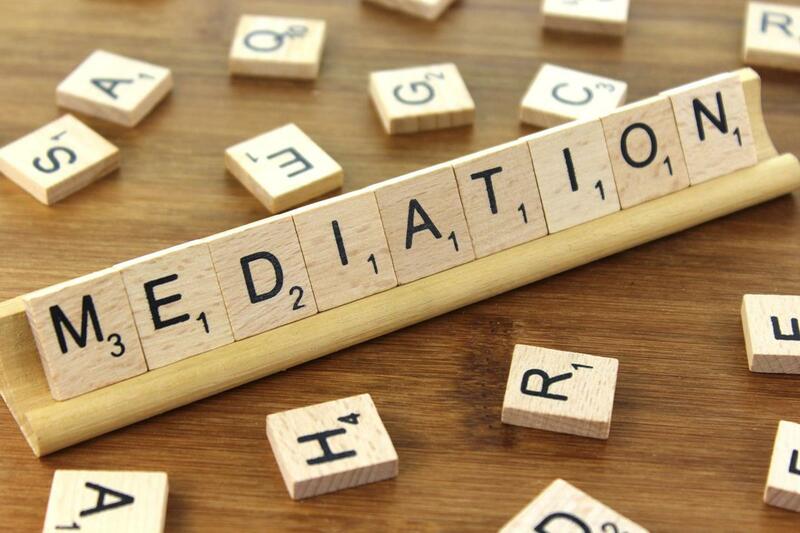 Mediators receive an additional stipend for writing a family mediation agreement. Following the initial commitment year, mediators must be available to mediate at least 24 sessions per year to remain on the program roster. After completion of the initial one-year term, mediators also will be required to earn 16 hours of continuing education applicable to the family program, during each two year term. Multi-Door offers ample free training, sufficient to allow mediators to earn their continuing education credit through Multi-Door, but mediators may also apply for credit from training provided by others. The deadline for applications is October 31, 2017. Applications may be submitted by regular mail, email or in person. Those sent by regular mail should be sent to: Family Mediation Training, Multi-Door Division, D.C. Superior Court, 410 E St. NW, Washington, DC 20001. Email applications can be sent to: MultiDoorTraining@dcsc.gov . In-person delivery should be to the division’s main office at 410 E St. NW, Suite 2900. Questions about the program or application process should be directed to Karen Leichtnam, ADR Training Manager, at karen.leichtnam@dcsc.gov or by telephone at 202-879-0675, or to Matthew Centeio-Bargasse, Family Program Manager, at matthew-centeio-bargasse@dcsc.gov or by telephone at 202-508-1888. Next Think You’re Underqualified for the Job? Apply Anyway!